It has been generations since the Northlands have seen a hero worthy of the title. Many have made the claim, but few have lived to defend it. Timid, weak, and bullied, Wulfric is as unlikely a candidate as there could be. A wonderful tale for the hearth. The story of a boy forced to grow hard and strong, pushed to become the warrior of his time. 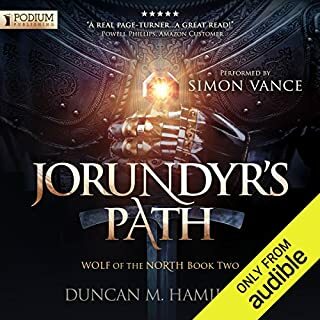 This book begins the great journey of the man Wulfric, and with Simon Vance as the story teller this audio book was set for success as soon as it started. I for one am eager to see what comes next in this story of vengeance. 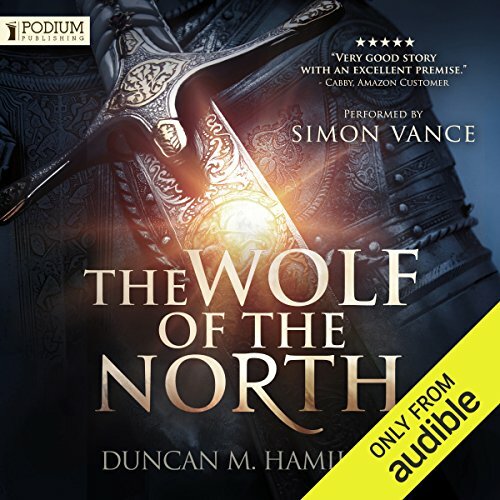 Would you consider the audio edition of The Wolf of the North, Book 1 to be better than the print version? The print version was good but it is always better to listen so you can get subtle nuances that you can miss when reading the print version. I love print but an really learning to love unabridged audio versions lately. What other book might you compare The Wolf of the North, Book 1 to and why? 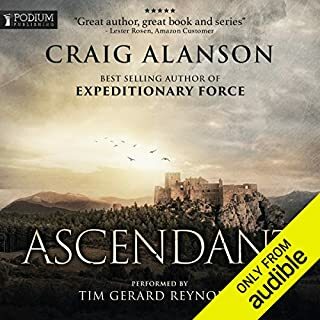 I am just getting into this genre and this 1st book rivals Bernard Cornwell's The Last Kingdom. I have listened to the entire series and it was a great series so Mr. Hamilton is off to a great start. I listened to The Millennium Series (Lisbeth Salander) by Stieg Larsson, V for Vendetta by Alan Moore, and Daniel Silva's Portrait of a Spy all of which he was great in. Only comment I would make is I beg please, PLEASE don't make the same mistake so many audible authors make and change the narrator. 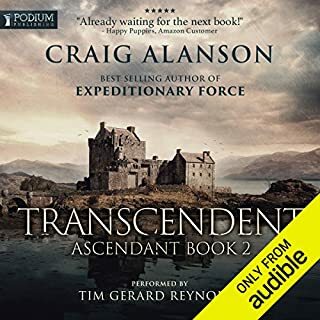 Simon Vance is a phenomenal narrator and now he is the voice of the series. I know it may seem a small thing but it throws the listener, or at least it does me, off when a different narrator is reading the story. I liked it but it could have been better. What did you love best about The Wolf of the North, Book 1? I loved finding out more about the world he was building and can't wait till book two to find out more about it. What was one of the most memorable moments of The Wolf of the North, Book 1? The end of the book. I won't spoil it, but it's one of those moments you say "finally I was about to go into the book and do that myself just wish the second one was there too but then there wouldn't bad guy for future books". I would have to say it was the same as my most memorable moment. 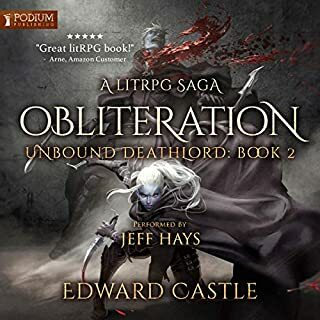 I see a lot of people comparing this to Patrick Rothfuss' KingKiller Chronicles but it reminds me more of Anthony Ryan's A Raven's Shadow novels. This book started great. At first it had me hooked and I couldn't stop listening, but then probably around the second time skip I started noticing that the characters while getting older they didn't really progress and grow. They stayed the same and nothing really ever changed about their way of dealing with things and their thought process. Looking at how many years passed in the time skips you would think they would grow and mature but I didn't really feel that. So I never really cared much about any of them. They where all pretty predictable and you could tell what was going to happen chapters before it did. 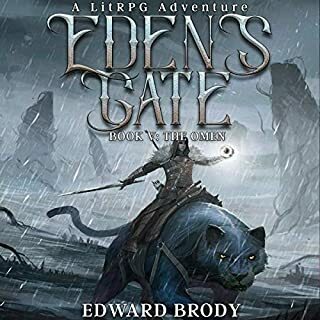 I just felt kinda cheated because it felt like such a great start to a good book (I think I feel that way because I went into it comparing it to KingKiller Chronicles), but that is my biggest complaint about this book and hopefully we will see more character progression in the second book. The only other complaint I have about the book was the cussing. Now don't get me wrong I'm a fan of Stephen King so foul language in a book doesn't turn me away, but at the same time the cussing in this book just felt out of place and didn't really add anything to it. 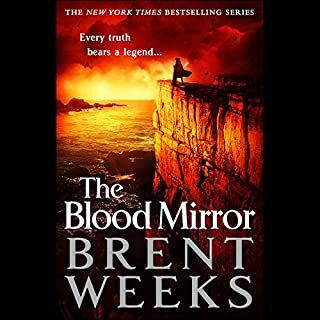 In that aspect it's kind of like Brent Weeks' Lightbringer novels where his first book is clean and then in his second book for some reason he started adding in cussing. So in these cases it feels like they are adding the bad words just so people won't mistake it as a "kids" book. Okay, now that I ranted about the stuff I didn't like let's talk about what I liked. So like I said earlier the book started off strong and the beginning had me hook. I wanted to find out more about the characters and the world they live in (I think that's why I felt let down about the character progression, also once we see our main character out and about in the rest of the world hopefully we will see him mature more). So I'm hoping in the second book we will actually see some growth. 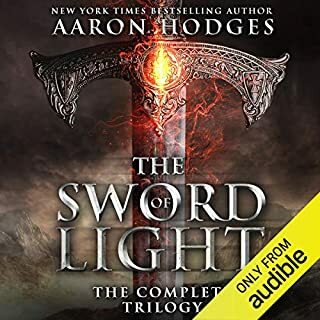 This series has good potential and I hope it grows into a series I want to listen to and immerse myself in, but that will definitely depend on the second book. So, fingers crossed I hope that happens. Now the narrato. I like Simon Vance's voice and if I see his name on a book, I know if I don't like the book it will not be because of the narrating. He is a little slower when reading so in some books I turn the speed up to about 1.5x but that's only in the slower parts "filler" of the books. So, now the big question is, is this book worth a credit? I would say yes. 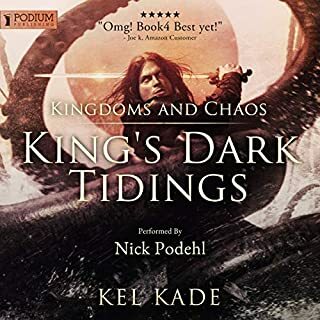 While I was a little let down after reading the other reviews because they made it sound more like the KingKiller Chronicles than it actually was, it was overall an interesting story in which I want to find out more about the world and characters. Like I said earlier, what is going to make or break this series (at least to me) will be how the author handles the second book. I hope he does a good job on the second book. (That way I can add another world to lose myself in;) Hopefully someone will find this review helpful (it's my first time) but if not just take everything I say as the ramblings of a crazy person. I felt like I was part of the crowd around the fire listening as the storyteller enthralls his audience with a tale of a young lad who'll become a great warrior and all the people who will help or harm him along the way. 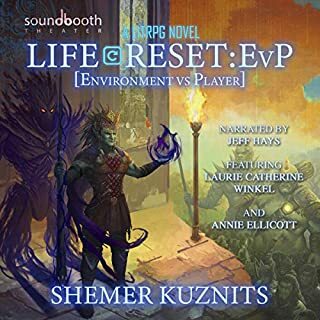 Simon Vance is perfect as the storyteller and all the characters he portrays - I loved his rendition of everyone from the world-weary speaker (who knows how to spin a yarn) to Wolfric who is figuring out his place in the world. Have already recommended this to friends who love epic fantasy. 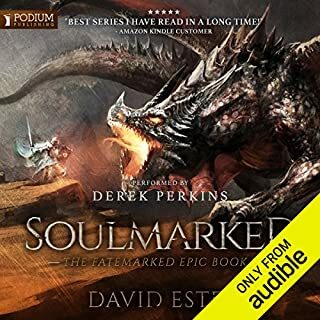 First, the narration is bar none the best I've heard on audible. The story starts off amazing, it has all the right makings of a truly epic tale. If you've noticed how dry epic fantasy has been this book will hit a cord. I have few gripes with this book but they do exist. The author falls prey to the dumbing down of the main character to perpetuate the plot. Spends half the book to build him up and then take sit away for conveniences sake. Secondly you will notice that one character keeps leaving and returning whenever its convenient, eventually it becomes predictable and annoying. I Remeber it happening for the last time in the book and I just turned tool off my headphones and left the story unfinished for a day. It's annoying. Other than that this book is fantastic, can't wait for the second one. The opening chapters were well-written and had potential, but after that, the remainder of the book was slow, predictable and dragged out. The book ended without much of significance happening between then and the halfway point. It has the feel of being only a fragment of a full book, that got split up into multiple books with a lot of filler added in and scenes dragged out into chapters that a good writer could finish in a few sentences. If it's building to something that would be forgivable, but little of note actually happens throughout the 2nd half of the book, and the main character gets dumbed down to a plodding, unsympathetic brute in service to the plot. What's worse, is that he's really the only character with any real development at all, with most of the others lacking agency. The story also had a very derivative feel to it, similar to Name of the Wind and Blood Song, but not done even half as well. Those books had good, complete opening stories, not just a fraction of one stretched out into a full book. The use of the framing story felt unnecessary, and at times clumsy and forced. I'm astonished at the number of good reviews this book has received, as there's really not much there to like about it. Slow, plodding story, unsympathetic characters and an unfinished plot. The only redeeming quality is Simon Vance as narrator, and even he seems like a wrong choice for this kind of book. 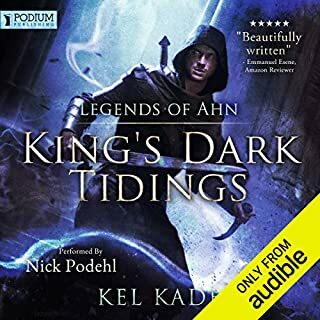 He has a wonderful voice, but his narration seemed far too refined for something taking place among a barbaric culture far from civilization. I will not be getting the second book. The first is so predictable that I can already tell you what the big plot twist will be in the next one, and can expect it to be dragged out before it even gets to that point. I've been in a slump lately waiting for the next installments of my favorite series and have swung and missed a few times when taking chances on new ones. However "The Wolf of the North" was definitely a hit! 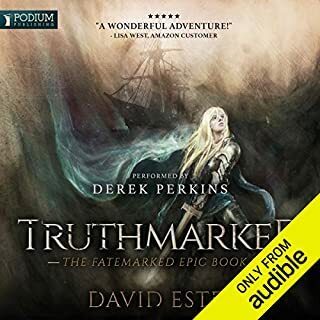 It's not a complex, genre twisting fantasy tale, but rather a straightforward, well done story that was very enjoyable to listen to. 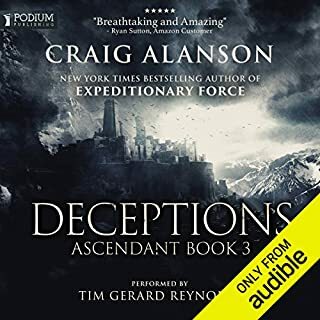 I only wish it were a bit longer and I cannot wait until August when the next installment comes to Audible. I'm not much for writing reviews, explaining what makes a book good or bad, or of giving my input into what could have been changed but I know a good story when I hear it and this is a great story. 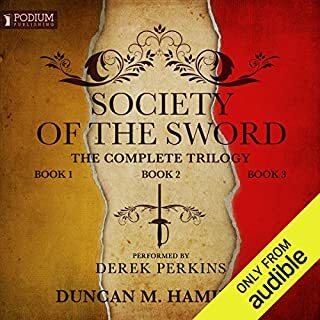 I personally love Duncan M. Hamilton, I think he's a great writer, and I really believe that we will see a lot more novels from him in the future, his Society of the Sword Trilogy was amazing and so far this one is as well. 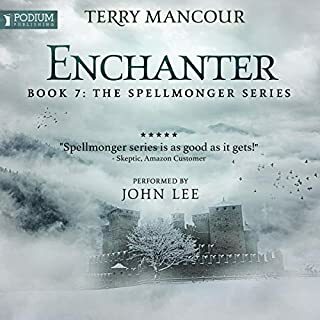 I have no words to express how amazing Simon Vance is, he brings this story to life in ways that no other narrator could and his reading of it made it so enjoyable I felt that I was completely impressed in the world with the characters. 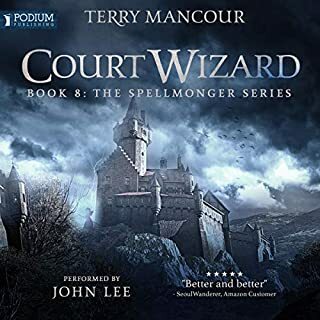 I personally had to set my player to .90 where as every single book I listen to I always set it at 1.25 but the accent that the story needed projected, sort of a slight British maybe had me turning the speed down to fully understand the pronunciations of names, places etc. But I can't understand anything but country talk so I'm sure you educated, worldly, city-folk will be just fine. 😆😜😉 Happy Reading everyone, I hope you enjoy the novel as much as I did, now I'm on to read the second book, curious as to where Mr. Hamilton will take me next. I really had high hopes for this book. 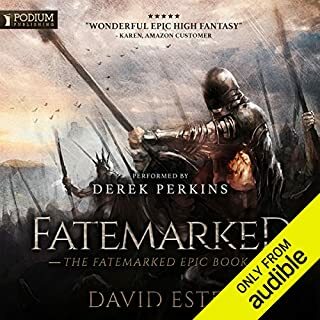 It's a bit of a trope but I can't help but love tales mixed with Northern warriors/Scandinavian influence/Viking like culture etc., and this book seemed to promise that. It definitely is set in a world that is akin to that of The Vikings, but it also has a more advanced Southern civilization. My main problem with this book is that it's so slow which comes off as boring. The characters are very generic and unmemorable/unlikable. I understand this is supposed to be a "set up" novel, setting up the series for the next book, however, the first book should have some action and intrigue that actually DOES set up the next book. The first 40 out of 50 chapters covers hardly nothing but Wulfrics (our main character) journey/training from being a fat, incompetent child to growing into his 20's and being a muscled, gigantic warrior that excels at everything he does. The problem is, none of the training that is required to transform someone like this is really showcased with any depth, which makes the transformation feel forced and unnatural. We don't actually see a battle with real life or death stakes until around chapter 30 to 35 or so, and even then it's a short and poorly written scene that reveals a talent that Wulfric suddenly discovers he has, and then the chapter ends. This is only 1 of about 3 chapters that involve an actual battle scene with humans (not counting two, long and drawn out different chapters where Wulfric fights the exact same type of creature). Most of the book deals with his awkward and many times annoying romance with Adalaide. A female (that's about as interesting as a shallow mop bucket) in which Wulfric has cared about since childhood. Most of the romance is akin to what you would find in a young adult/teen novel, which is exactly the vibe this book has going for it. The whole thing just felt very juvenile and silly. The author repeats himself so many times, sometimes within seconds of each other. He will say something like "Adalaide had been away three years, what if she's changed... what if she thinks I'm a Northern Brute? She had been studying at a University, learning many things I could only dream about. After all, she had been studying for three years at a University and there was a good chance she would think Wulfric was brutish, as many Northern warriors tend to be in the eyes of a Southerner". The author does this quite often, repeating inner monologues as if he's really trying to drive a point home with the reader. It just comes off as lazy story telling. The author also jumps from multiple POV's all within a single chapter, giving each character 2 or 3 minute's worth of dialogue or inner monologue. It makes it very hard to get into what's going on with each character when such an insignificant amount of time is spent on them. World building is also done through the narrator simply dumping tons of information on the reader. Whereas we had too little time with each character at times, we have far too much time with the narrator feeding us chunks of boring information that's meant to tell us about the world this all takes place in, the villages, the culture, the history, peoples roles and parts that they play etc. I prefer these things to come about in a natural manner, usually through character dialogue, but this is definitely not the case here. I'm sorry to sound overly negative about this book, maybe the second and third could be a vast improvement? I don't know and I'll never find out because I'm just not interested in the world, the characters or what little plot there is, to continue reading this series sadly. 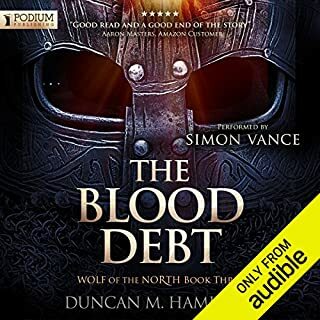 I'd say the only positive thing about this audiobook is that Simon Vance does a fantastic, top shelf job narrating it. I went into a "Young adult" book recently, dreading it, thinking it would be too immature and simple for my tastes. I only read it because it was written by one of my favorite authors. It actually turned out emotional, deep and well written with great characters and tons of excitement. I went into this, being an adult fantasy book, and I got much more of a simple, immature and under developed story than the former was. A great start to a trilogy. An modern day disrespect for the elderly, where the exact opposite would prevail in Norse culture (which I assume you were trying to accheive). A total lack of understanding of how Warrior hierarchical cultures existed. I like the main character by the end, but why start him out as pathetic fat sissy who at 14 has never even ridden a horse, in a setting where he'd have been riding since early childhood. Lots of incongruity.